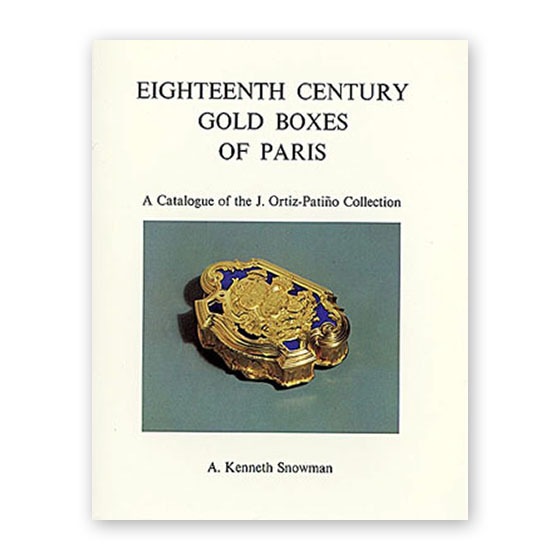 The collection of gold boxes surveyed in this book represent a microcosm of Parisian taste in the eighteenth century: it offers to the imagination a wonderfully rounded picture of the architecture, the interior decoration, the taste in paintings and sculpture and even the actual clothing worn in this period. The sudden changes in fashion and the deep respect paid to each convolution by the 'beautiful people' of the time are faithfully reflected in the changing appearance of the boxes as the century proceeds. The Patino collection is composed of Parisian boxes. It is not only remarkable for its size and quality, which ranks with those of the great eighteenth century collectors, but it has carefully been chosen to display the wide range of techniques as well as ingenious variety of forms and designs used by the great Parisian specialists in gold boxes: Gouers, Messoniers, Ducrollay, Hardvilliers, Vachette and many others. This book offers an unrivalled insight into this wondrous group.